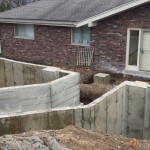 Wisconsin Design Build Remodeling Project From Stebnitz Builders This East Troy home on Booth Lake had a few drainage issues that needed to be resolved, but one thing was clear, the homeowners knew with the proper design features, their property had amazing potential to be a fixture on the lake. 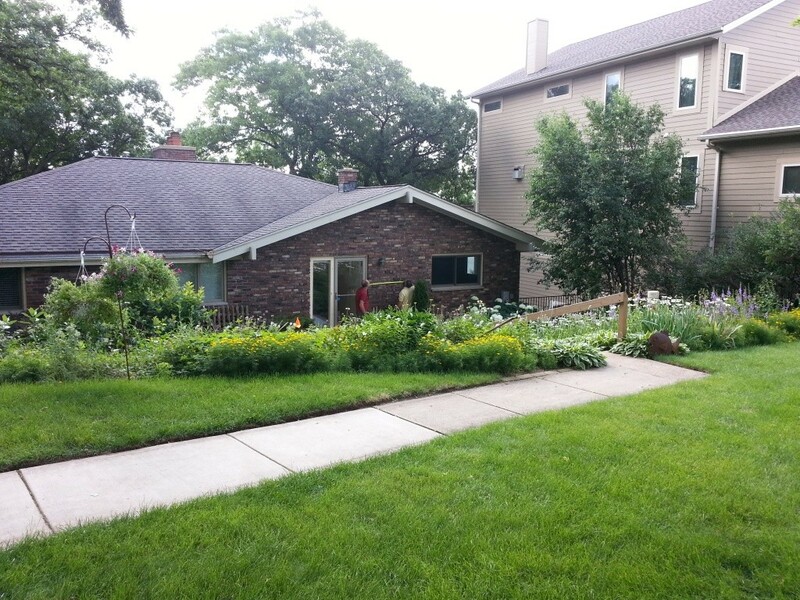 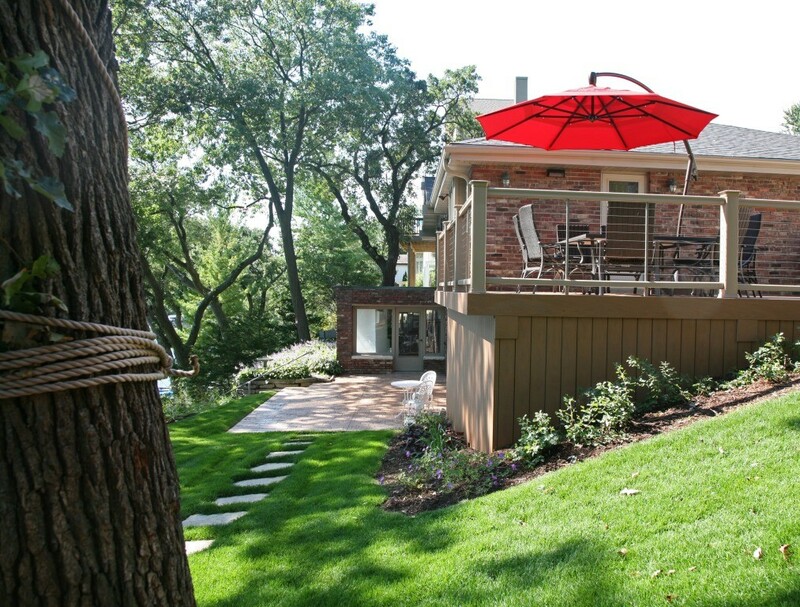 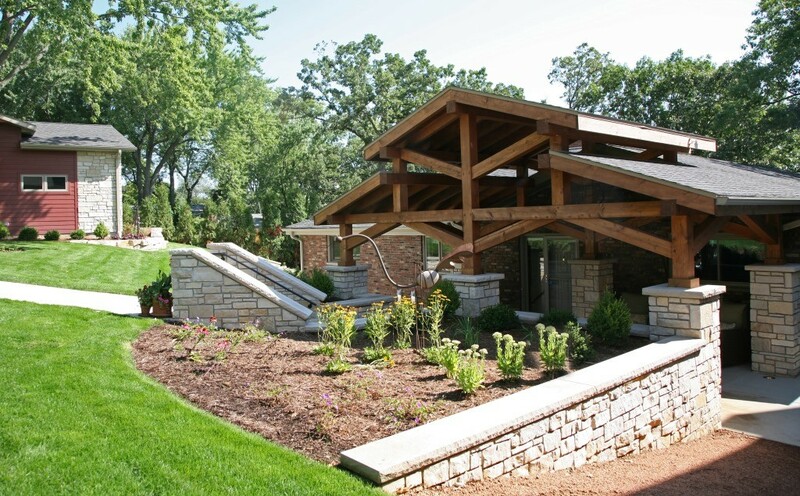 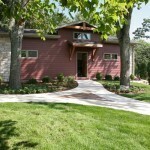 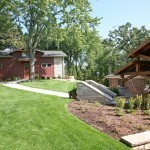 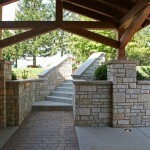 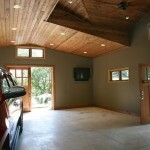 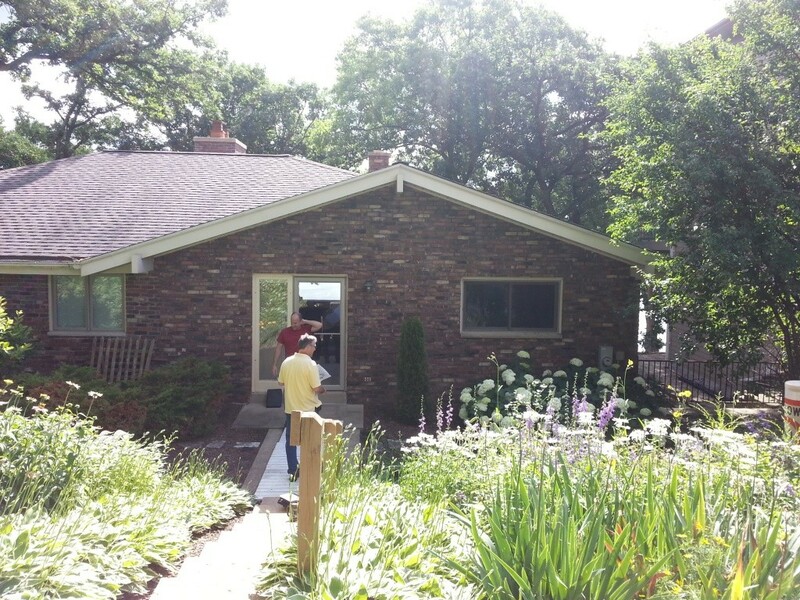 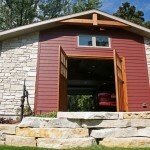 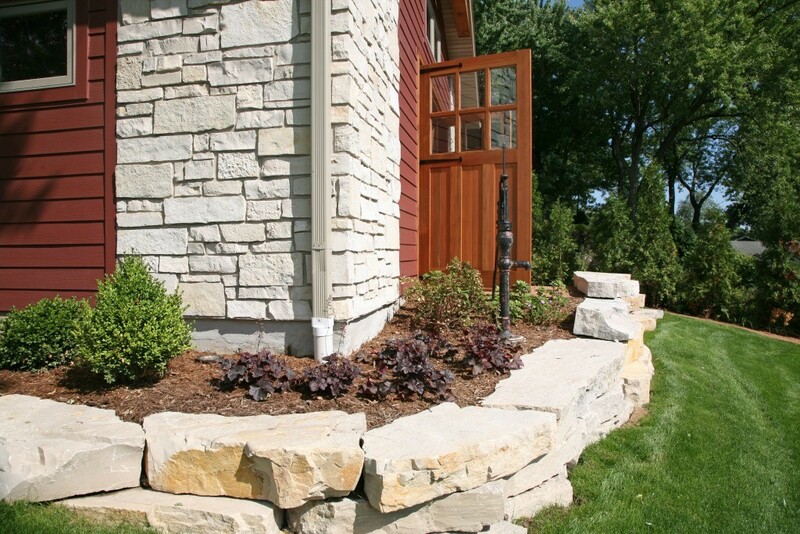 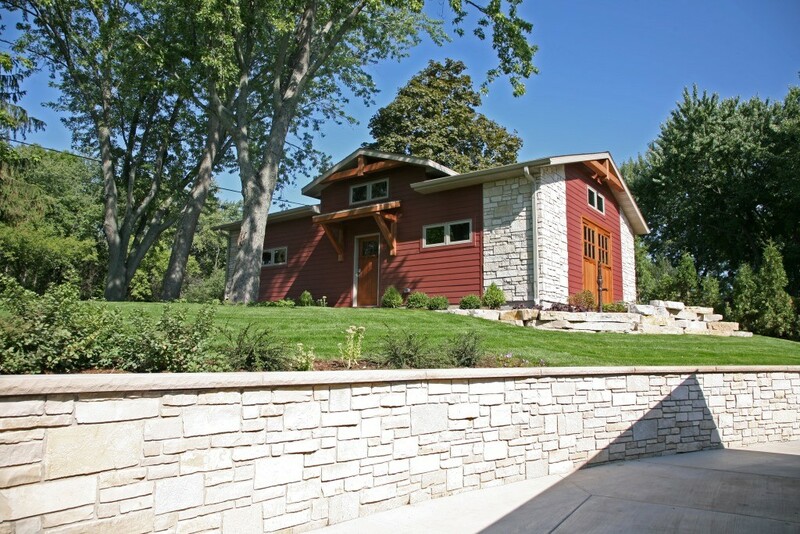 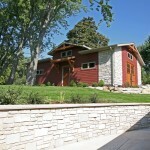 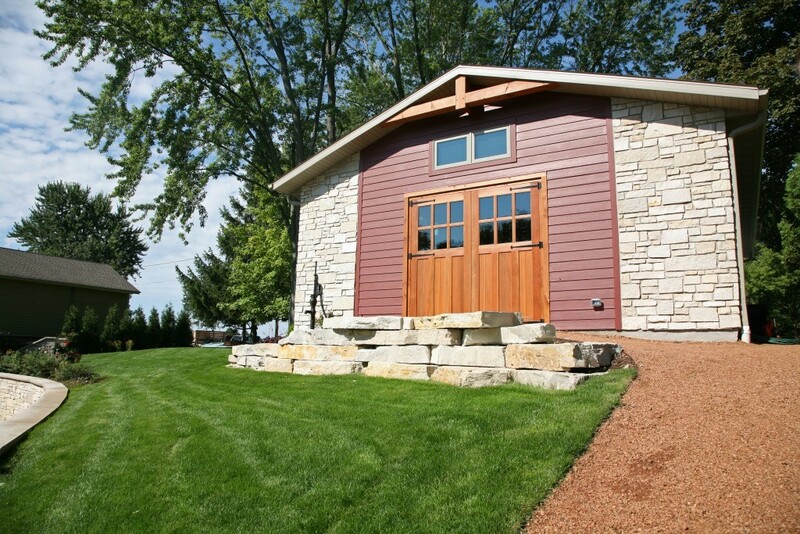 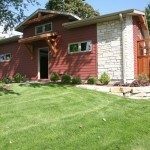 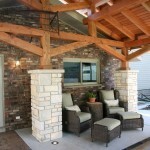 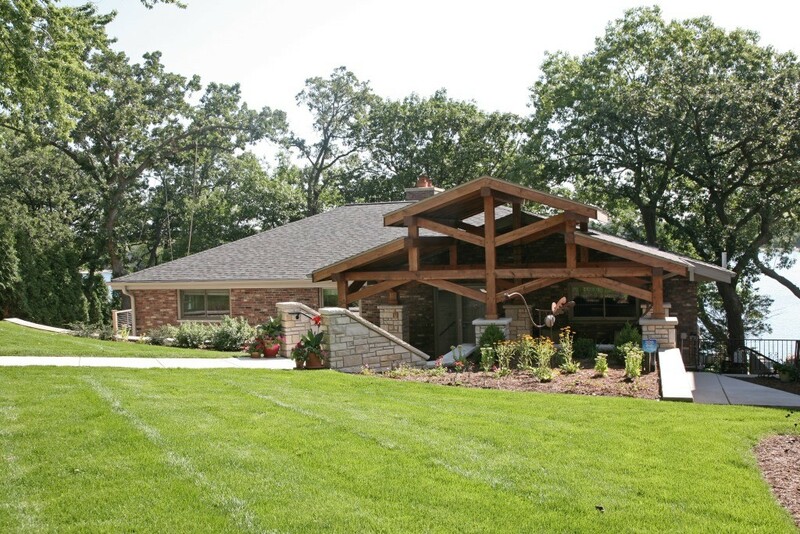 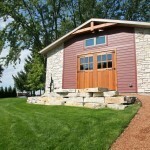 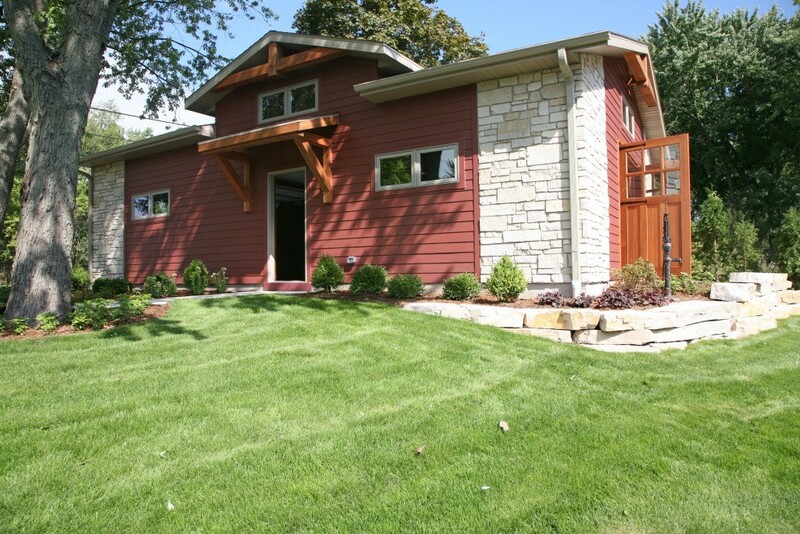 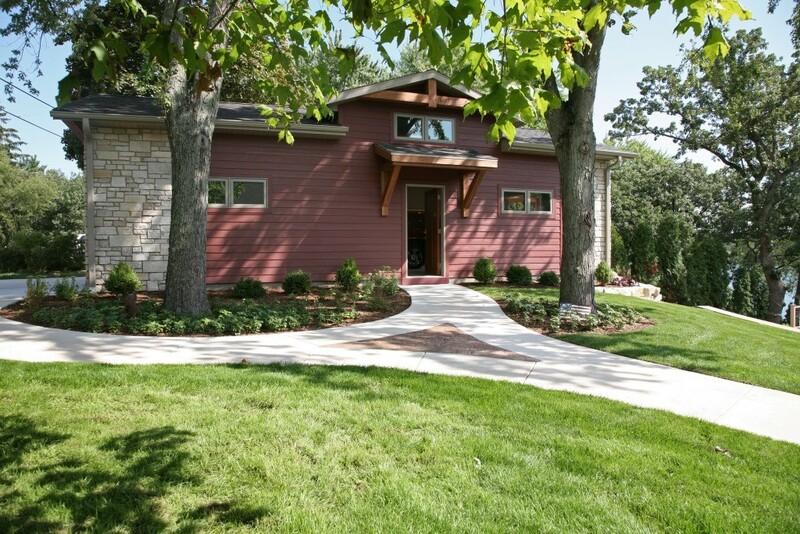 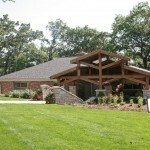 This design build remodeling project was done by Stebitz Builders in Wisconsin. 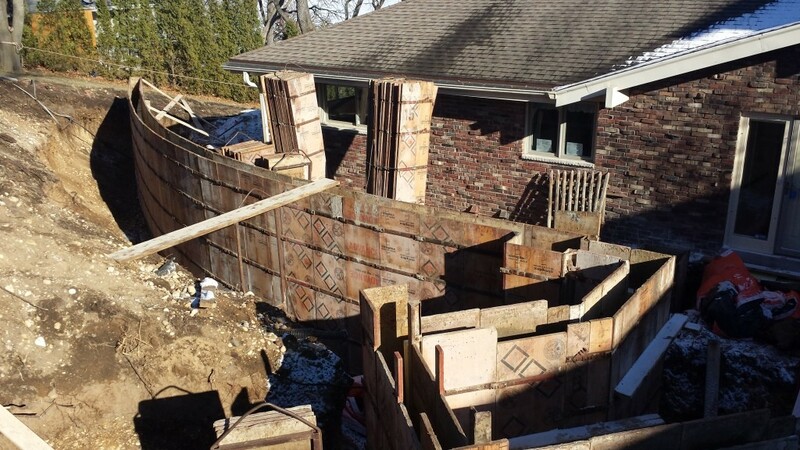 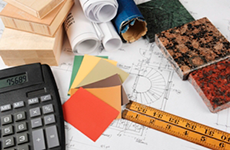 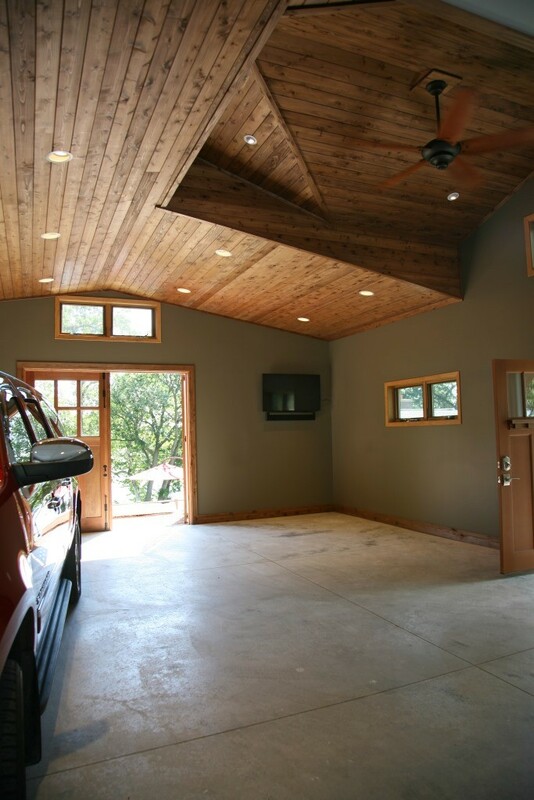 Stebnitz Builders is a full-service remodeling firm with building services that include custom home remodeling, home improvements & house repairs, custom new home building & custom home design. 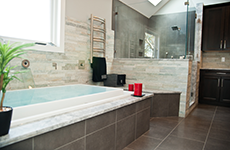 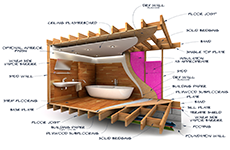 They specialize in kitchen remodeling and bathroom remodeling services, whole house renovations, additions, windows, doors, repairs, countertops, sunrooms and more! 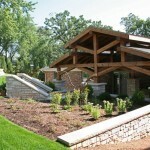 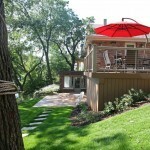 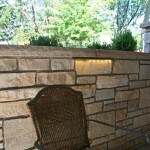 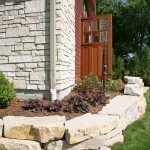 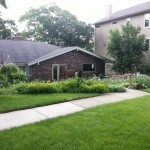 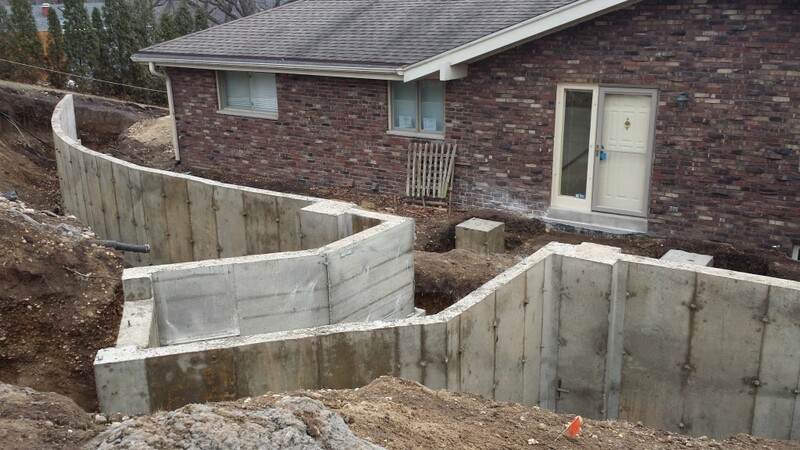 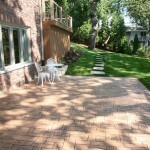 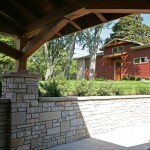 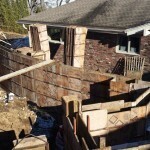 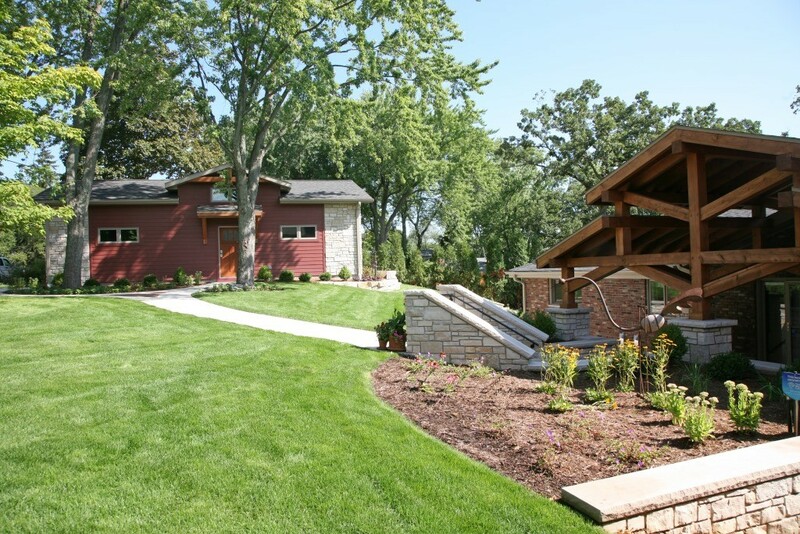 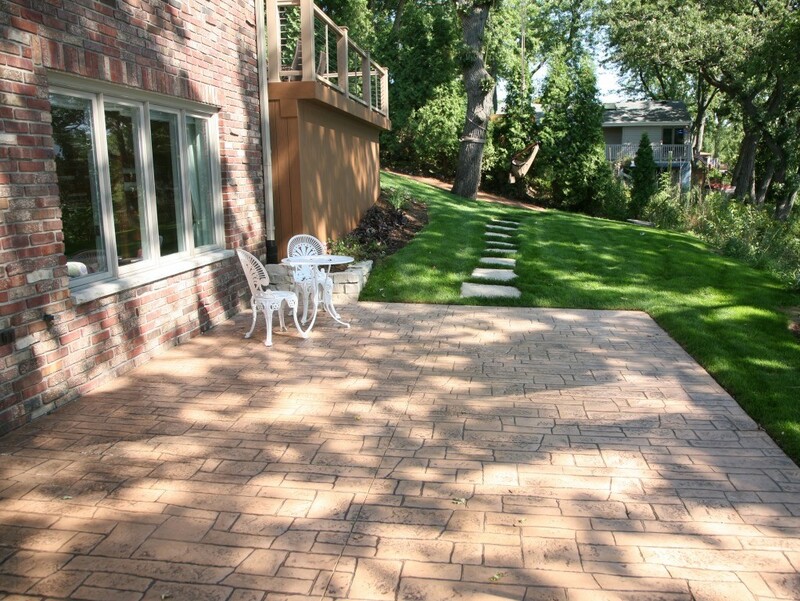 In this project, things began with a redesign of the backyard, including retaining walls and other drainage features. 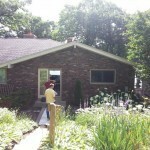 After this, the home was then ready for a radical facelift. 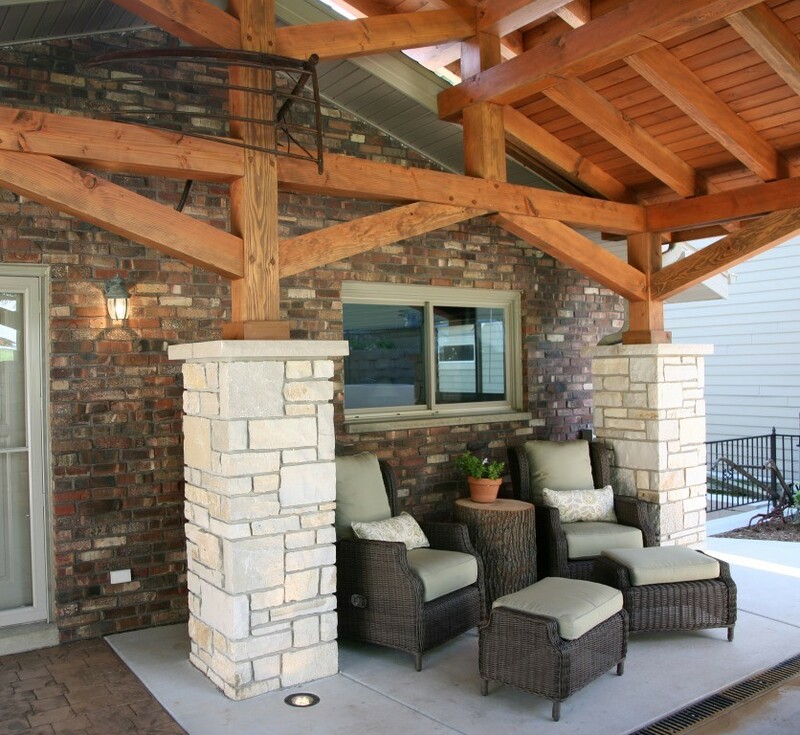 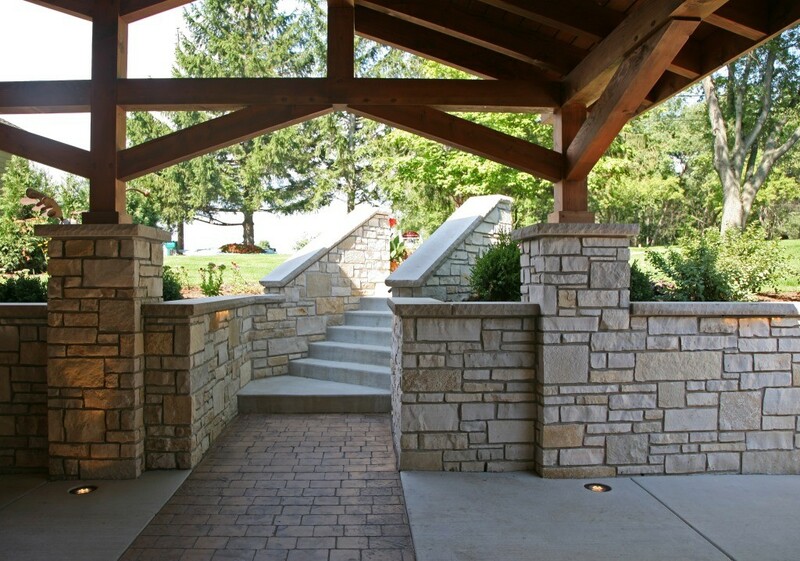 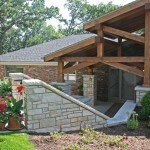 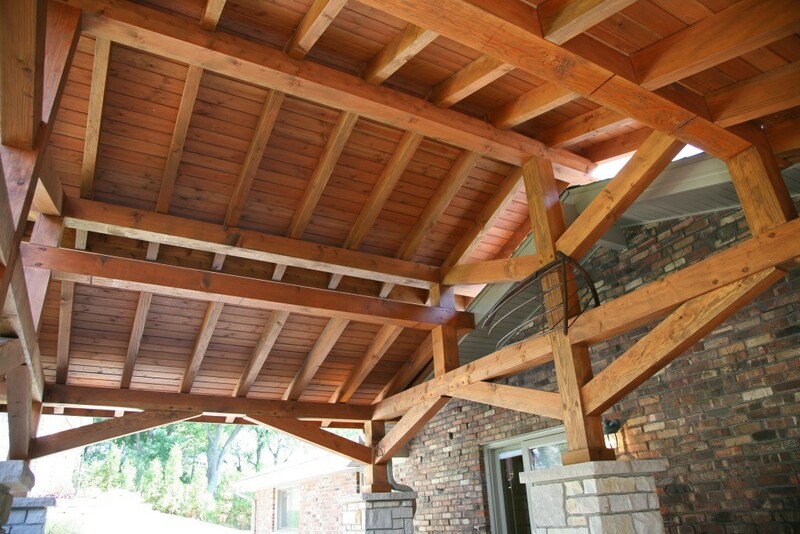 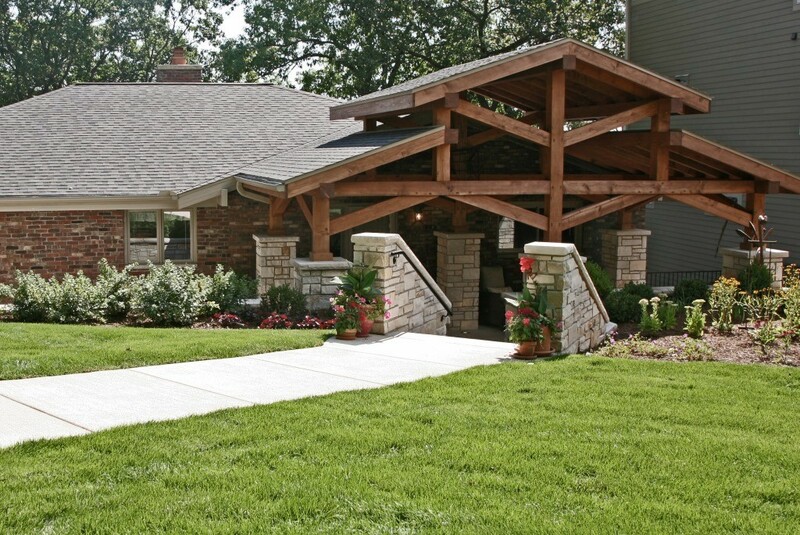 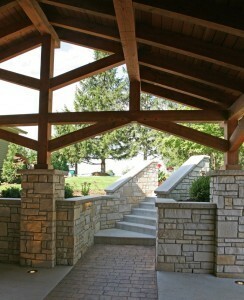 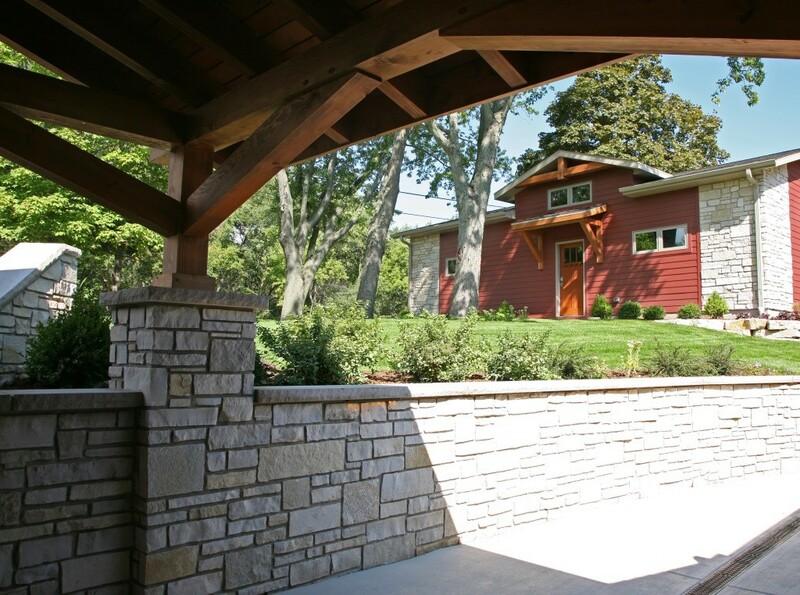 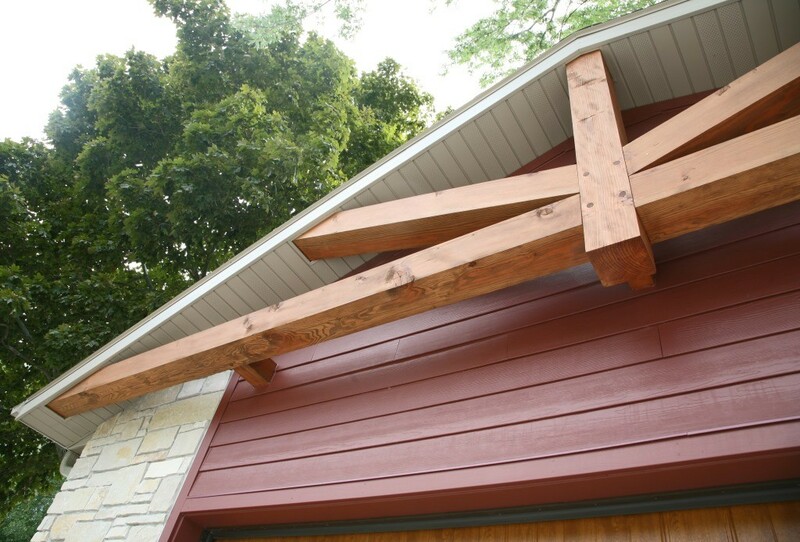 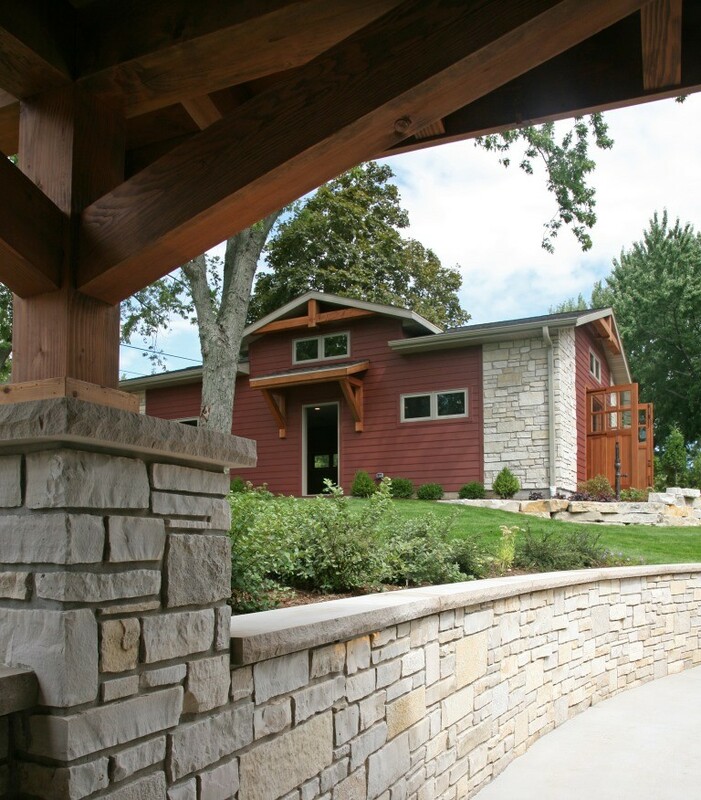 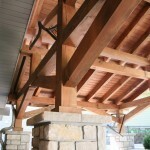 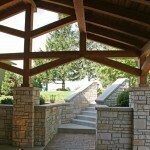 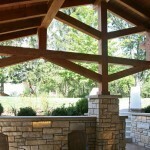 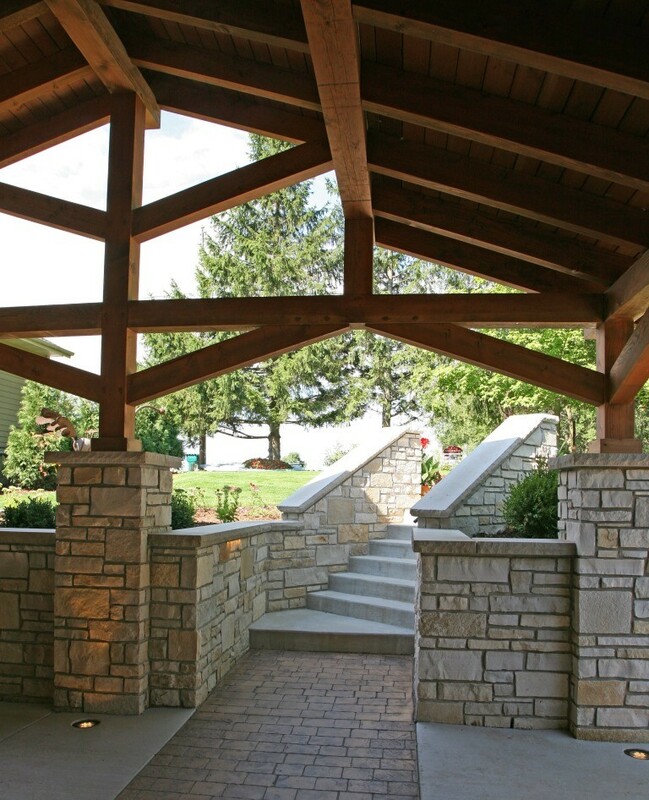 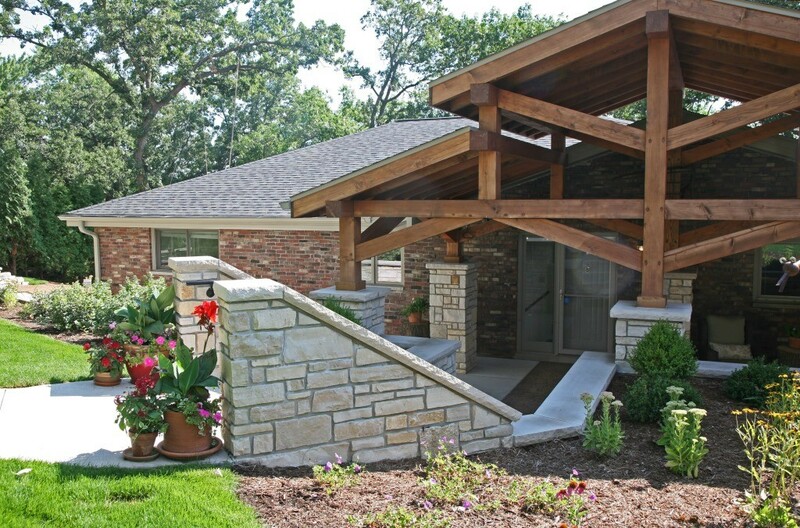 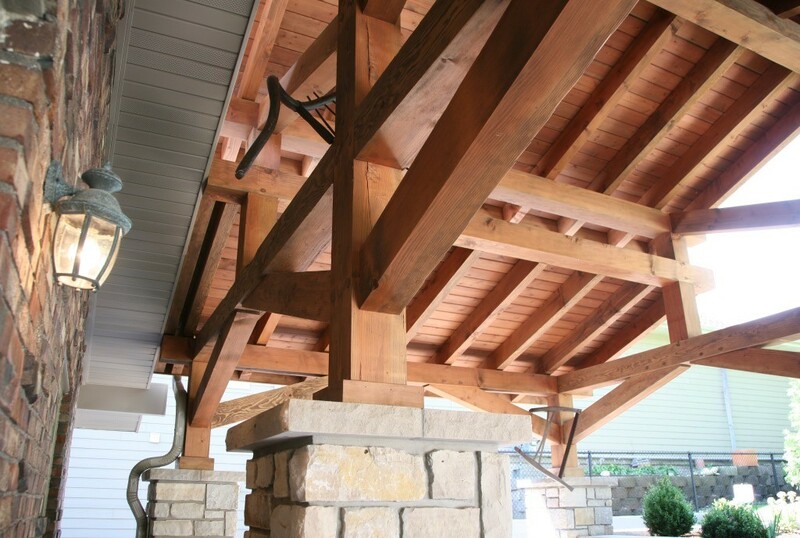 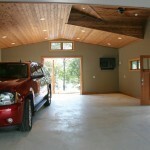 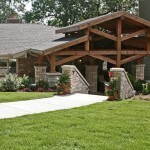 Stebnitz Builders redesigned the entry of the home with a timber frame portico/entryway. 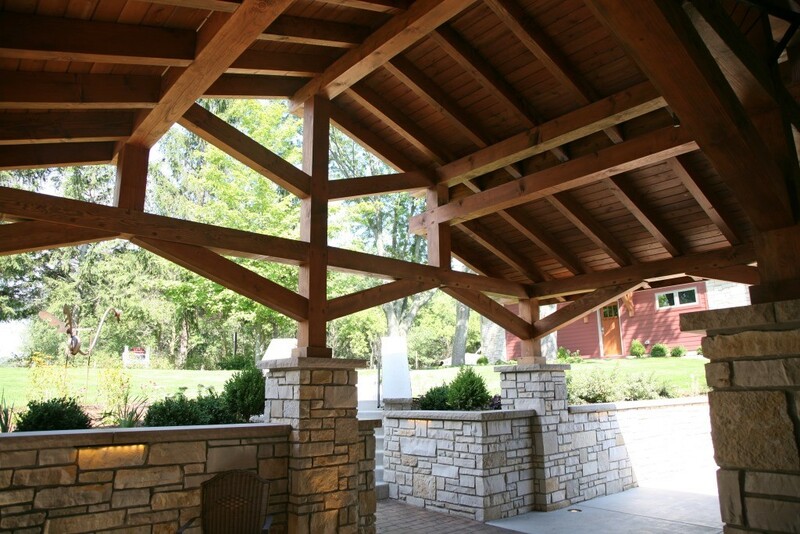 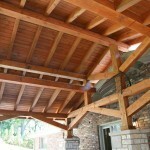 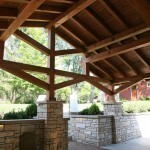 The entire portico was built with the old-world artistry of a mortise and tenon framing method. 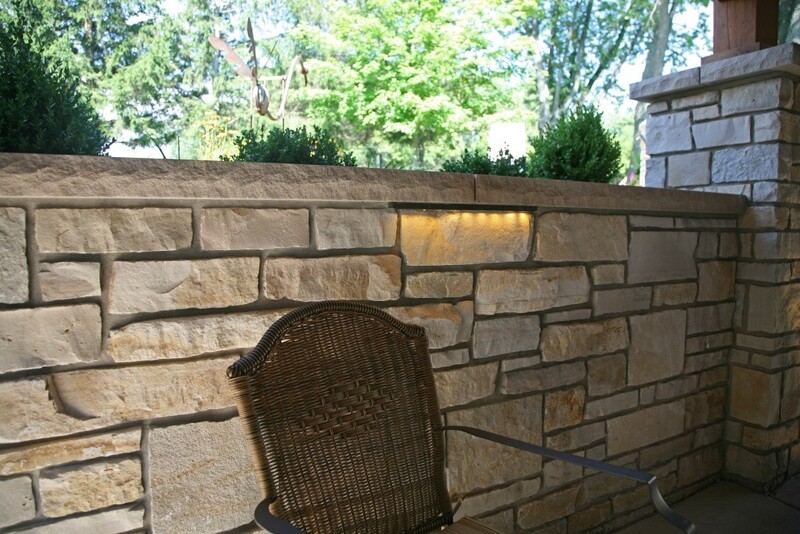 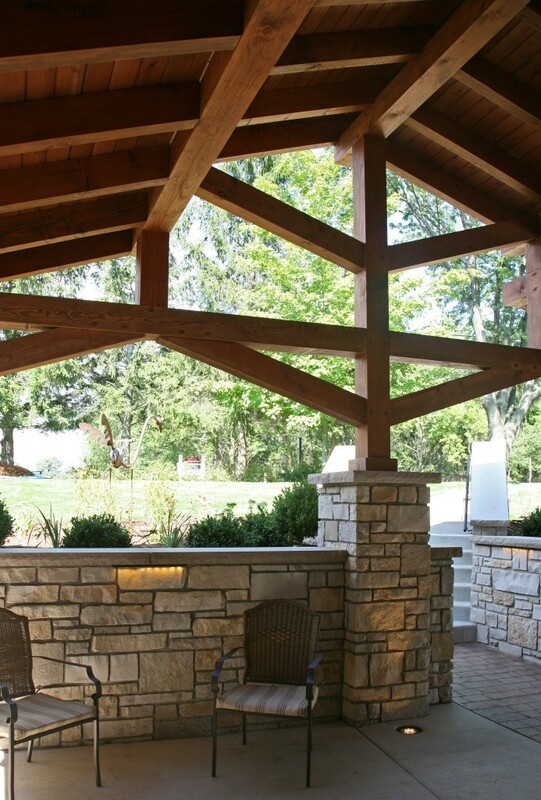 Stebnitz Builders also designed and installed a new deck and patio facing the lake, installed an integrated driveway and sidewalk system throughout the property and added a splash of evening effects with some beautiful architectural lighting around the house. 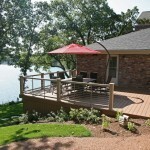 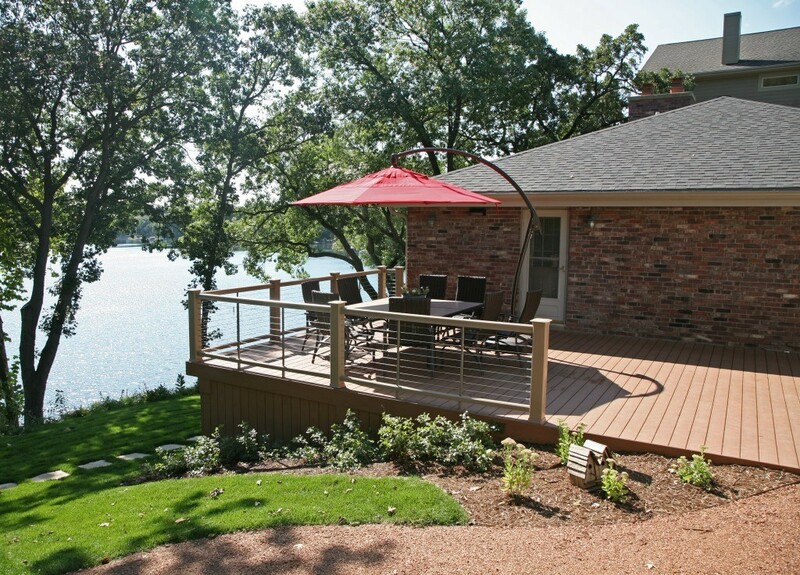 A Timber Tech deck with Radiance cable rail system was added off the side of the house to increase lake viewing opportunities and a beautiful stamped concrete patio was installed at the lower level of the house for additional lounging. 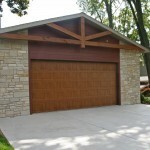 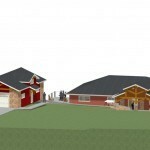 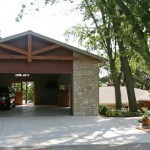 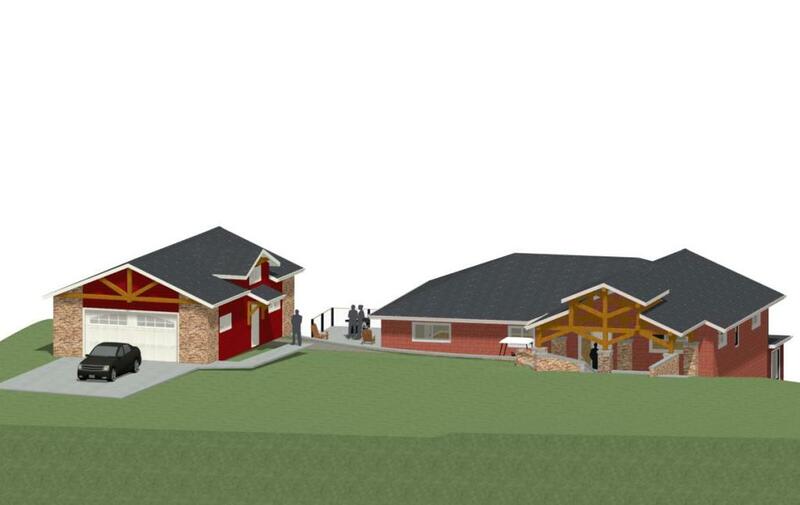 Lastly, the original detached garage was razed and rebuilt with a new design that not only suits the client’s needs, but is designed to complement the home’s new look. 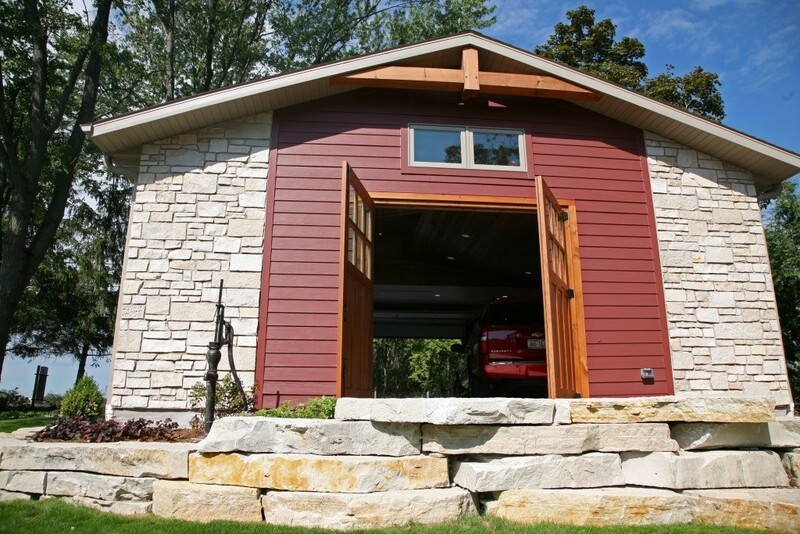 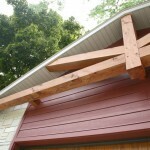 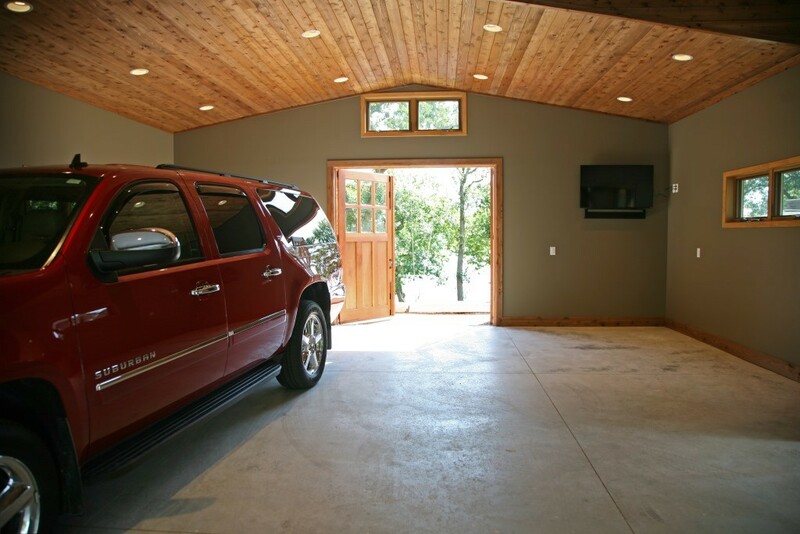 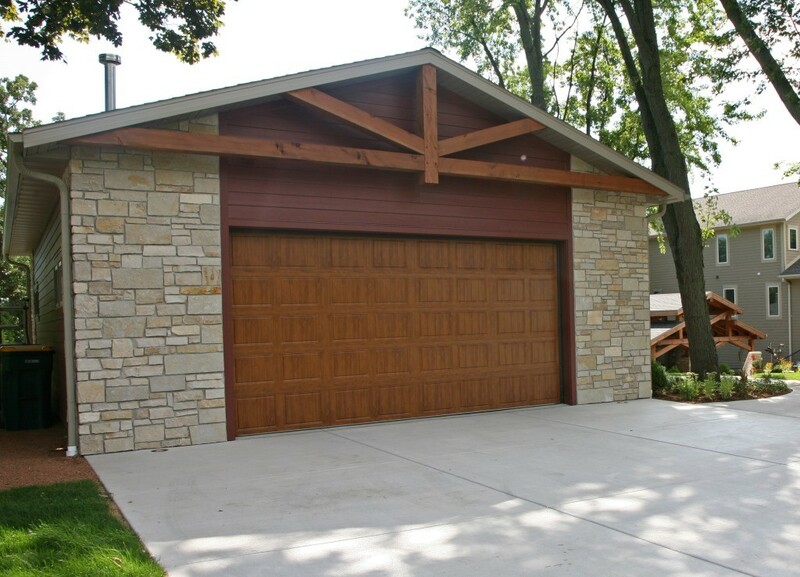 The garage was built with trusses to create the tongue and groove wood cathedral ceiling and the storage area to the front of the garage. 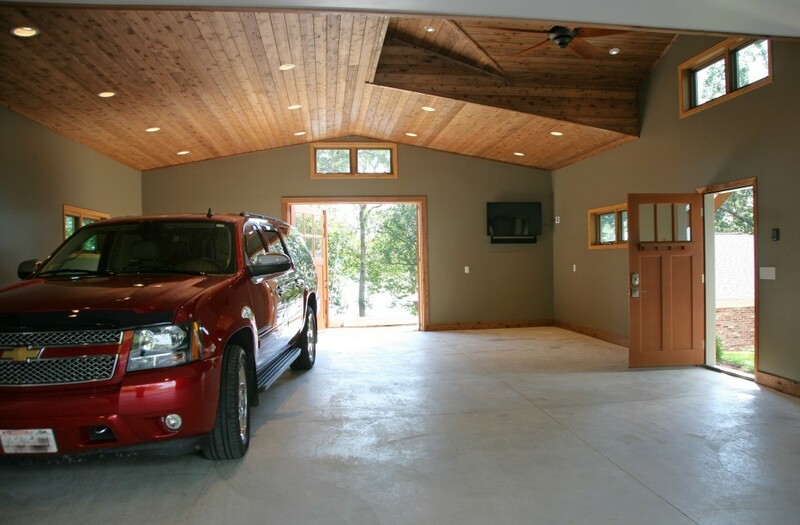 The secondary doors on the lakeside of the garage were installed to allow our client to drive his golf cart along the crushed granite pathways and to provide a stunning view of Booth Lake from the multi-purpose garage. 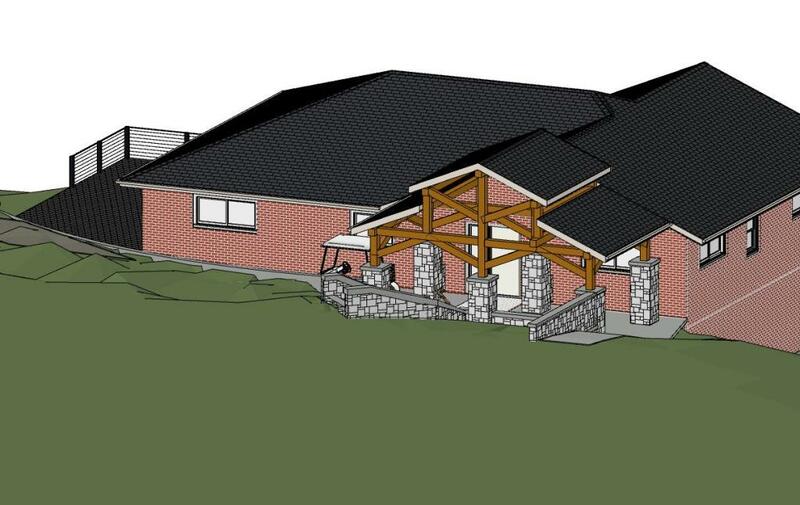 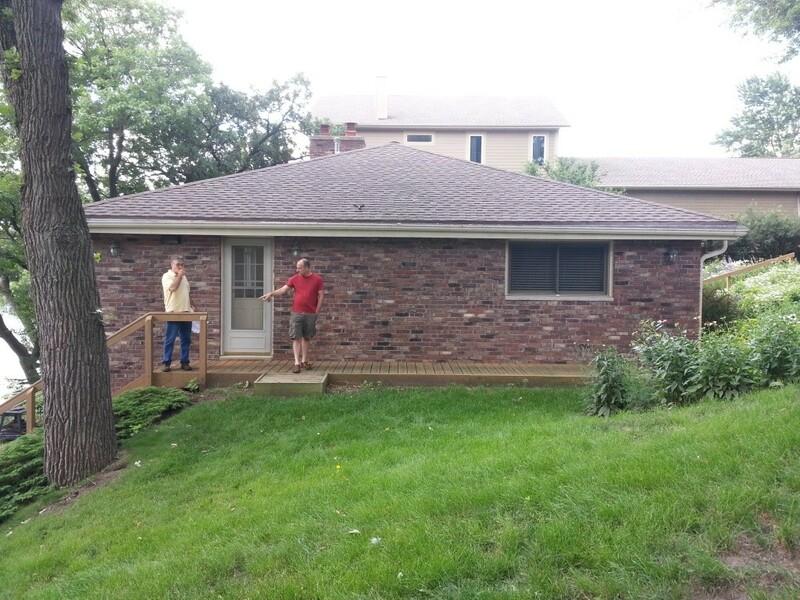 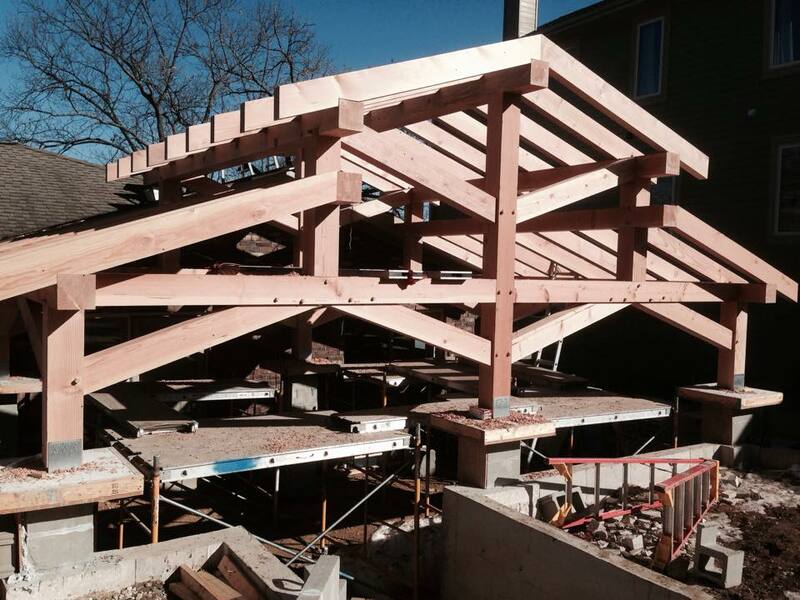 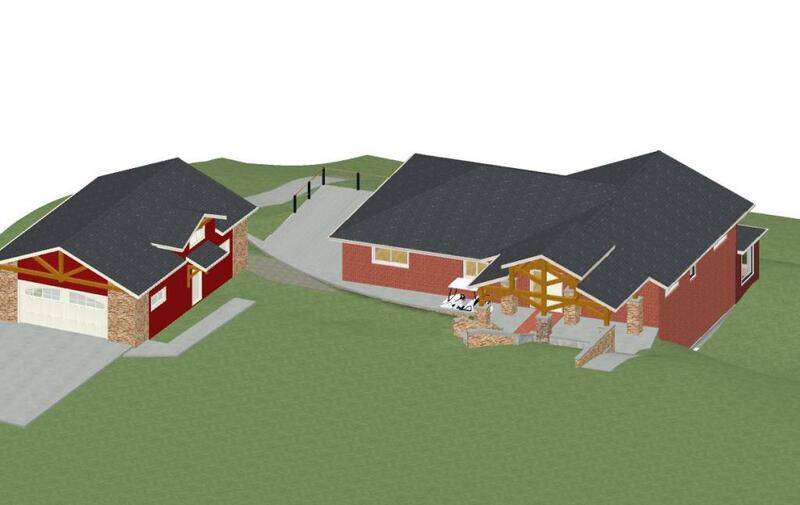 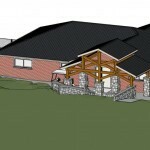 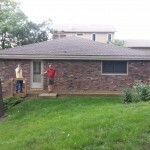 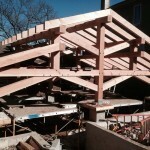 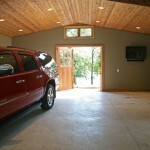 Below are photos from the Wisconsin design build remodeling project. 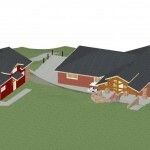 The first three are before pix, followed by computer designs, three during photos, and then the after views. 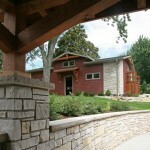 After the photos, there is a video tour of this amazing project!